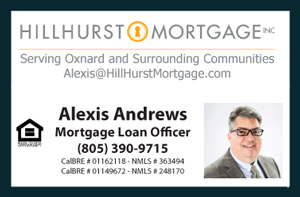 Please join me, David Tovar, at my Open House this coming Saturday January 17th, 2015 from 1pm to 4pm, at 1218 Douglas Ave Home for Sale in Oxnard CA 93036. Mandalay County Park is about 4 miles from 1218 Douglas Ave Home for Sale in Oxnard CA. This park is a local favorite offering many picnic tables, sand volleyball courts, and beach access. The park is enjoyed throughout the year due to excellent climate all year long. Walking distance to the house is Freemont Square Shopping Center offering many convenient stores, restaurants, coffee shops and more! All you need only a walk away. Finally, the 101 Freeway is also easily accessible via North Ventura Road.